Even before the end of set up, the beautifully decorated traditional rickshaw and its modern counterparts were attracting the public eye. “ I was a storyteller for 2 students from a local school who seemed a bit bemused by the whole thing and one of them had remarked that development spending hadn’t done much good/poverty had got worse” explains Dan, a recently returned Restless Development volunteer. This was the moment the storytellers had been waiting for, a chance to tell their first-hand stories of change from their overseas placement. The challenge was to get those stories across and change a point of view in a 5 minute rickshaw ride around the square. The day was not only for the public, we had a few special guests attend: Bristol’s Lord Deputy Mayor, Councillor Faruk Choudhury; Kerry McCarthy MP (Bristol East) ; and Stephen Williams MP (Bristol West). 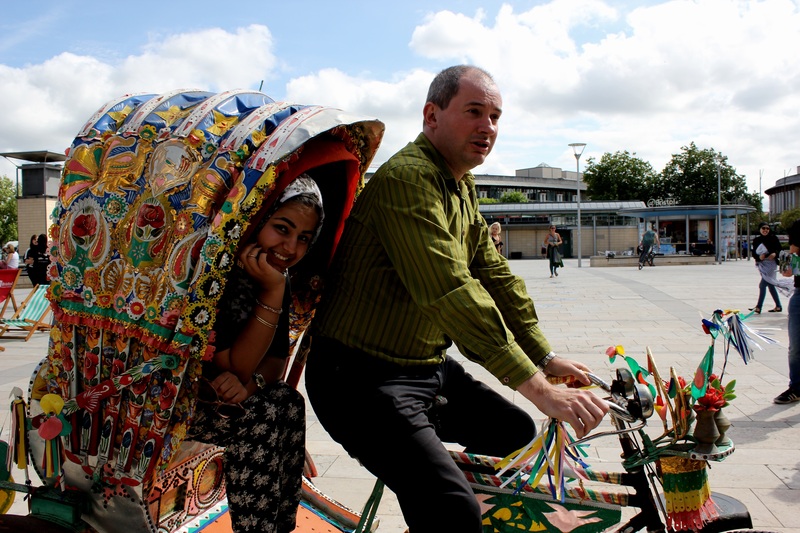 “My highlight of the day has to be being driven around on the rickshaw by Stephen Williams and interviewing him. He had so many positive things to say about the event!” says Nazzy, a Restless Development return volunteer. 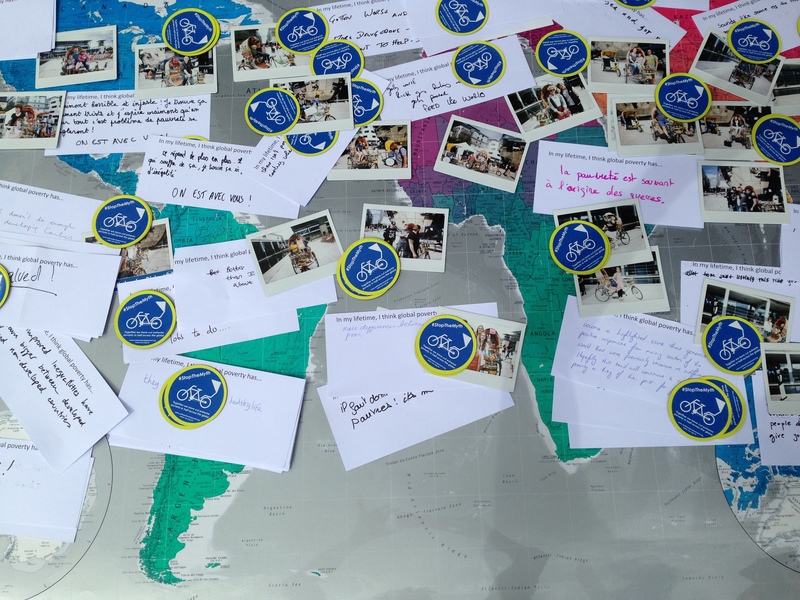 Don’t worry if you missed our Bristol event, you have another chance to #StopTheMyth on Saturday 30th August in Edinburgh! Check out our Facebook page for more information, photos and anecdotes!